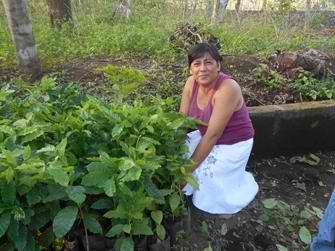 ​Farmers in La Paz are very much aware of the affects of climate change and the need to reforest the area. However, reforestation means occupying areas of their farms for forest growth and rejuvenation, but farmers must also be able to provide for their families. Therefore, the challenge of any reforestation project is providing incentives to farmers to put aside areas of their farmland to reforestation. This is the amazing part about this project. The reforestation not only contributes to efforts to reduce the affects of climate change, but also supplies farmers with a food source and an income generating crop. How does this work? 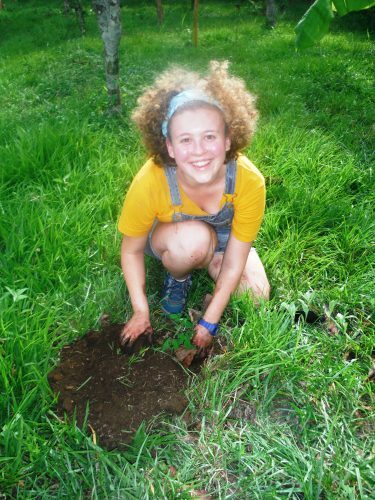 We are reforesting using trees that are also a food source, particularly Moringo and Maya Nut trees. We are also associating the forested areas with shade grown, income generating crops, especially coffee, but also cocoa trees. Maya nut and Moringo trees are far more nutritious than traditional grain crops such as wheat, corn, beans and rice. The Moringo leaves contain more vitamin C than oranges, more protein than eggs, more potassium than bananas, more calcium than milk, and more iron than spinach. The nuts of the Maya Nut tree are high in fiber, calcium, potassium, folic acid, zinc, protein, and many vitamins. They are also very high in antioxidants. The Moringo can be eaten green or dried and used in a variety of recipes. The Maya nut seeds can be cooked, stewed, and roasted. Compas continues to sell Howling Monkey Coffee in the U.S. Through direct trade, the coffee is shipped from the coffee farm directly to the customer, providing a just price to farmer for their coffee. We are also hoping to promote the sale of cocoa beans. moringa seed oil, and moringa leaf powder to provide other sources of income to farmers. Compas has recently finished the construction of a solar food dehydrator in order to dry the moringa leaves. This will help to prepare the moringa leaf powder for sale and consumption. 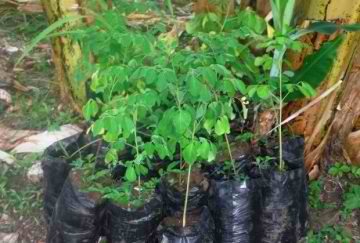 ​Therefore, the reforestation project has several benefits. The forests provide habitat for animals, and help to reduce the affects of climate change. The forests created also provide a food source for families from the fruit and seed bearing trees, and a source of income, through coffee and cocoa production. Compas is hoping to expand this project in order to reforest even more areas of La Paz. Farmers are very keen on reforesting the area and in the benefits that this project provides them. As we move forward with his exciting project, we hope to have your continued support. Special thanks to the LeBaron Foundation for their support of this project.